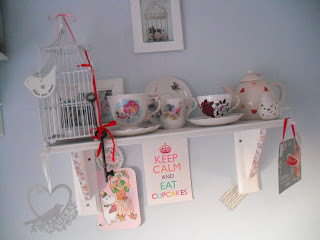 After I saw a post on Pieces of Wonderful blog, where she used some gorgeous Cath Kidston tape to jazz up her belongings, I bought some for myself. I bought the masking tape on Amazon for £4.15 (free delivery), and the RRP is apparently £7. I know.. £7 for masking tape… jeeeez! I luckily had an e-voucher left over from some online surveys I did a while ago so spent my £4.15 and waited for the tape to arrive! 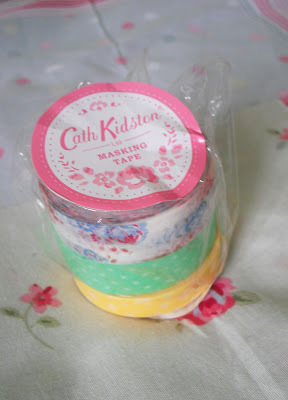 You get 3 mini rolls of masking tape with different Cath Kidston print designs on. I only really like the floral one, but you also get a green polka dot tape, and one with yellow stars. The packet states that you get 12 meters, but I think you get 4m of each roll. 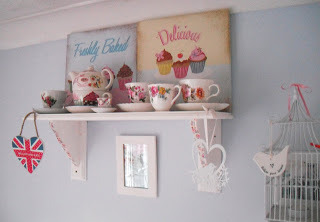 I decided to spruce up my painted white wooden shelves. 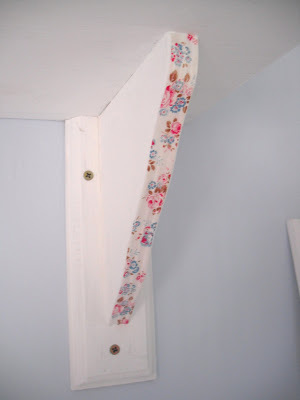 I simply pressed the masking tape onto the edge of the shelf, then cut it to length. Done! It looks great! 😀 Love the tape, I want it, may get it to spruce up a plain mirror! It's Lexie here from pieces of wonderful. How lovely of you to talk about my blog post! 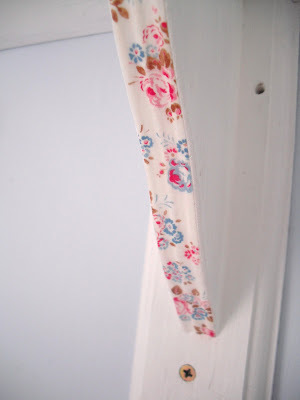 This tape is addictive, I keep finding new things to put it on! It's such a gorgeous effect! Your shelves look wonderful! So cute! Such a great idea too. I love it! 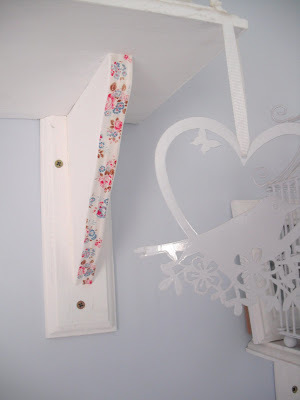 Fairly adorable blog you have here 🙂 I love the idea of the masking tape, I'm redecorating my room, so may have to invest!